This berry coconut milk ice cream recipe is a slightly modified version from my friend Megan Kelly. She has an incredible blog and is a Licensed Esthetician specializing in holistic nutrition, woman’s hormones, and spiritual health. Step #1: Blend coconut milk, sweetener, salt, vanilla, and berries until smooth. Step #2: Place a sheet of parchment paper on deep baking dish. Pour the coconut milk onto the parchment paper and then freeze for several hours, until hard. Step #3: Once frozen, pull the coconut milk off the parchment paper and break into chunks. Step #4: Add coconut mixture to the blender. Step #5: Process until smooth, scooping down the sides as necessary. 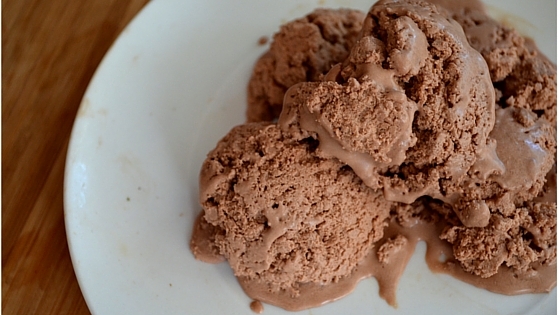 If you are looking for an anti-inflammatory ice cream than this is a great choice. It is easy to make and only contains a few ingredients you probably already have at home. The full fat coconut milk provides medium chain fatty acids that help you to burn fat, reduce inflammation and support healthy blood sugar levels. Berries are rich in anti-oxidants that reduce stress on the body and help you age better and feel better. To make this a complete meal you want to add in some bone broth protein. Healthy meals should always have anti-oxidants, fiber, good fats and clean protein. This one has anti-oxidants and fiber from the berries, good fats from the coconut and protein if you choose from bone broth protein. Bone broth protein is full of collagen which supports the body’s ability to heal leaky gut, strengthen bones, joints and improves the skin and hair. It helps to prevent against joint injuries and joint pain. It is also the ultimate beauty food that supplies the body with the right amino acids for beautiful skin and hair. The best flavor for this ice cream is the vanilla! If you use that, you can reduce or eliminate putting in the vanilla extract and stevia if you like. Try this recipe out and let us know how you like it in the comments box below. 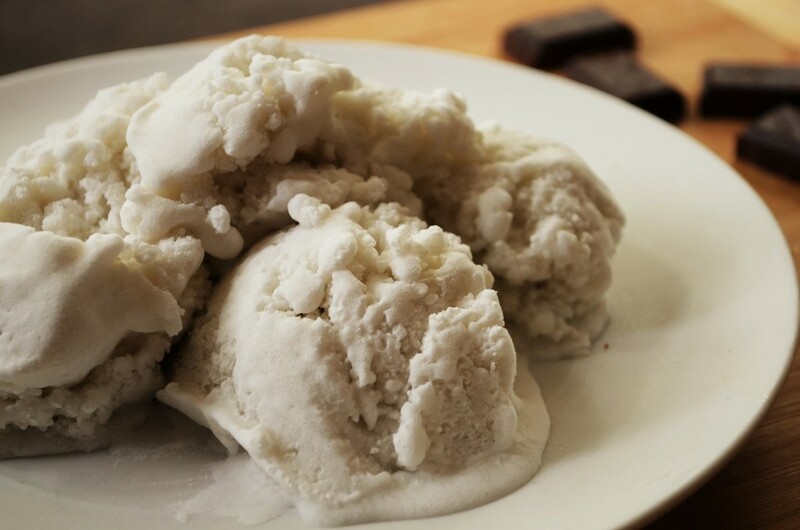 For a lower carb, keto version that is similar to this recipe, try our chocolate and vanilla coconut milk ice cream recipes.